My cat-of-a-lifetime was named Urodela. She rode happily in the back window of my car as we drove out to remote areas for hikes. She was little yellow tabby, maybe six pounds, but once she tried to catch a wild turkey. My dog-of-a-lifetime was Dolly, a tiny pekingese much braver than her size. I taught her how to sneeze on command. My horse-of-a-lifetime was Buzz, whose full name was Buzzard Breath. He was a beautiful dappled buckskin. He could run forever, even if not very fast. I had him for thirty years. But my pet-of-a-lifetime was Caplin Rous. 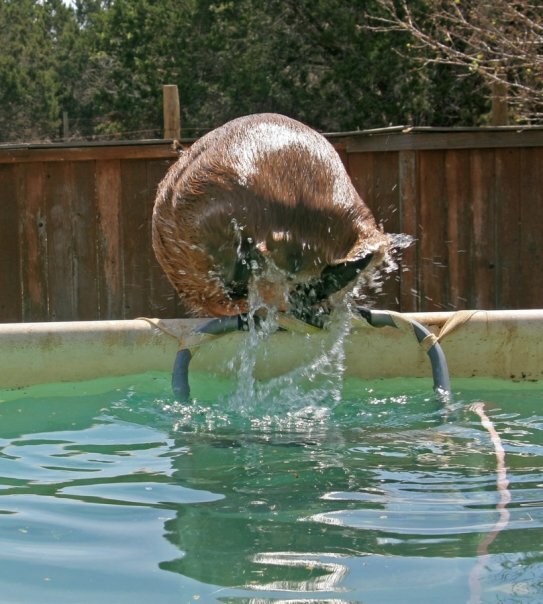 He was my first capybara and the center of my life for 3.5 years. Even now, my life revolves around his memory. When I try to explain to people what Caplin’s life meant to me and how his death destroyed me, they often say they understand. They have lost beloved pets, too. I know they have. But they don’t understand. 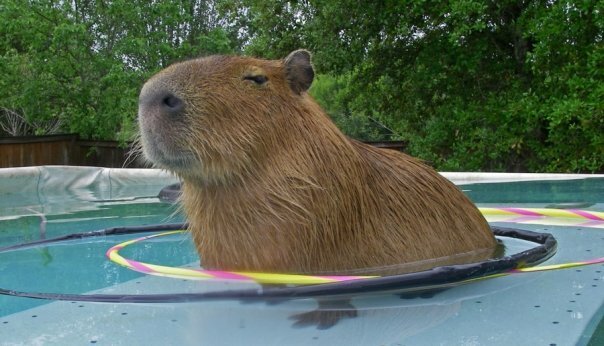 No other pet is a capybara. Dobby was Stacy’s pet-of-a-lifetime, her friend-of-a-lifetime, and the center of her life. Every single day she awoke with the knowledge that he would be there. That he waited for her. That he needed her. That he loved her. 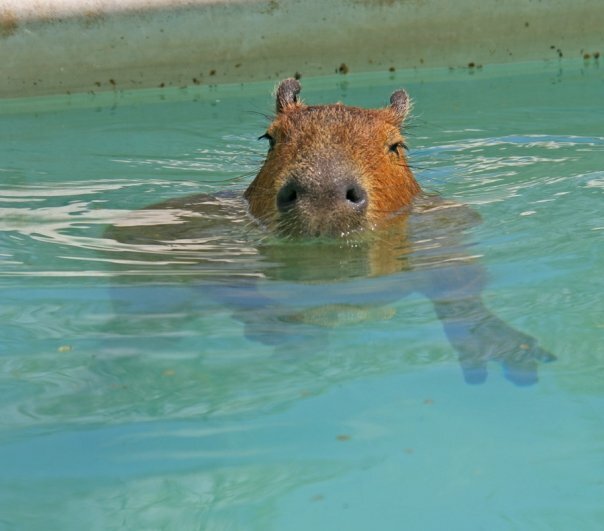 I have tried to convey through my blog just how amazing capybaras are. They are huge! They are cute! They are smart! Their eyes are pits of darkness. Their fur is made from the straw of a broom. The web of their toes is perfect for tracking mud into unwanted places. Yet none of that captures the soul of a capybara, which is love. It is not the fawning love of a dog or the alouf affection of a cat. Neither is it the partnership of a horse. A capybara loves from his heart, from the heart of his wildness. 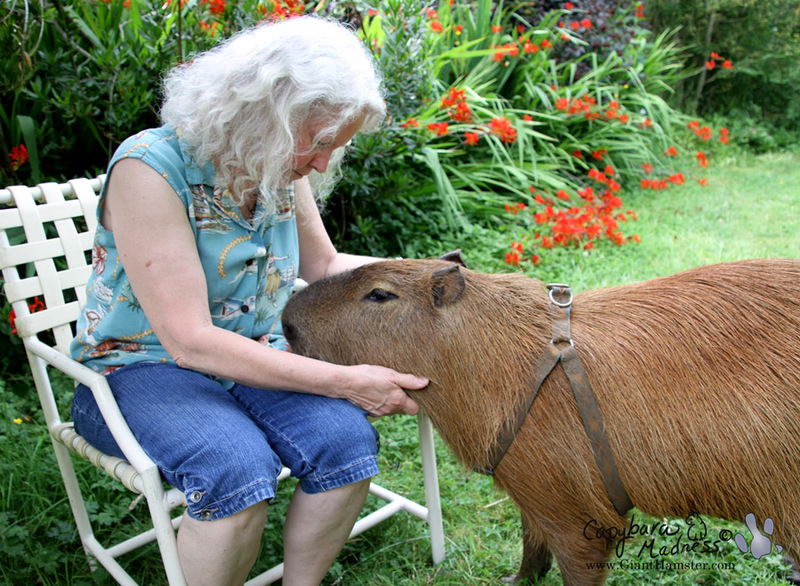 A capybara loves by choice, by merit, by the twinning of two lives together. 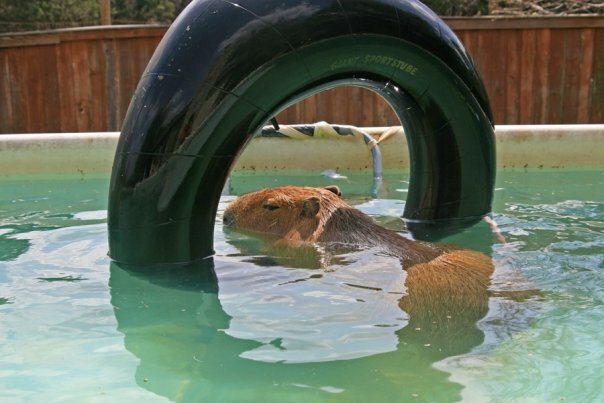 A capybara finds a place in your heart that you did not know was there. He snuggles in tightly, pressing his own heart against yours. 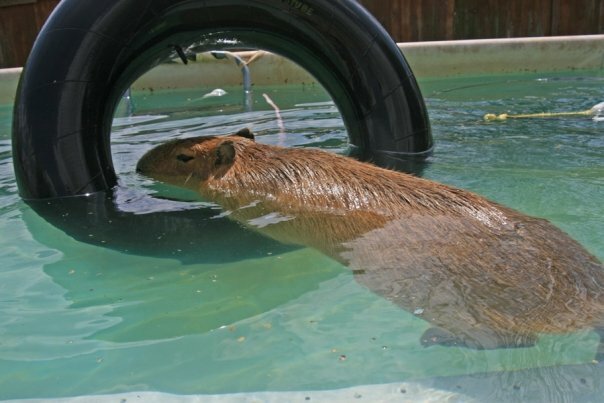 That is why the death of a capybara leaves a capybara-shaped hole in your heart. The warmth of that bond is gone and there is nothing, there can be nothing, to replace it. This is what Stacy and Dobby shared. I can tell you everything I know about Dobby and I can tell you everything I know about Stacy, but I can’t tell you anything about the combination, about Dobby+Stacy. This is something only Stacy knows and, if she is like me, it is not something she can tell you. It is not something she even wants to tell you. It is private, it is personal, it is sacred. This was meant to be a eulogy for Dobby but instead it is a eulogy for Dobby+Stacy. My heart goes out to the half of that whole that remains. It is better to have loved and lost, but the loss is devastating. Thank you Melanie for writing this beautiful heartwarming eulogy of Stacy and Dobby. Capybaras do love unconditionally from what I have seen and read. All of Dobby’s friends near and far Loved him. But not as much as Stacy. Praying for her. The thing I loved most about Dobby was his mischievous side. And even while Stacy knew she would be up at least half the night to fix or clean or undo whatever Dobby had done this time, I think she loved the way his eyes twinkled unrepentantly at her because, between them, this was their private joke each time that only the two of them understood and shared. Dobby was larger than life. He will never be forgotten. Simply amazing and so very well put. 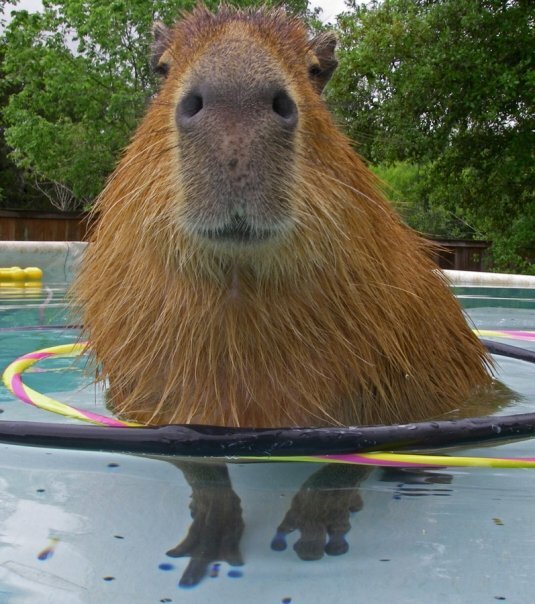 Life is never the same once you have earned the love, trust, and companionship from a capybara. 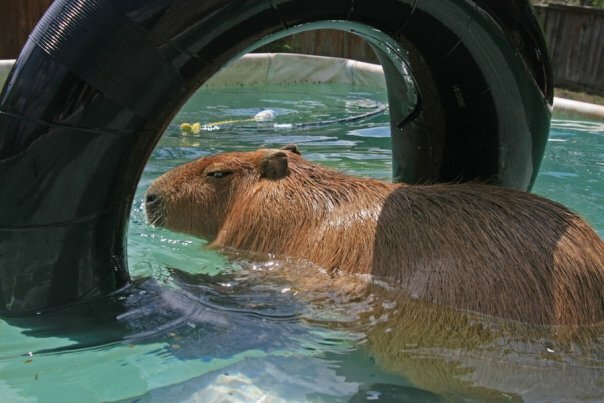 There is always a ‘hole’ in your heart that will never heal, a place in your soul that is forever lost, and a void in your spirit when your capybara passes away. Dobby was unique. A special boy that filled the hearts of many and will be remembered forever. My heat breaks for Stacy, I really do know and feel her pain. i am crying as I read this beautiful tribute to Dobby. 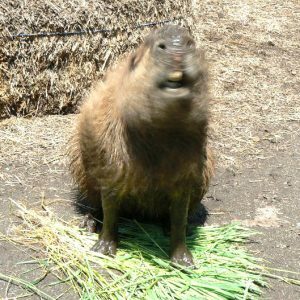 When I first accidentally came across Melanie’s website, I was just in awe of the beautiful capybaras, perhaps a bit obsessed. I would love to share my life with one but probably never will. So I have read both Melanie’s & Stacy’s posts of their lives with their beloved capys. I do believe that Melanie is right, I cannot exactly understand the pain of the loss, although I understand Melanie’s words. And I am so very sad for Stacy. Thank you Melanie for your In Memorium for Dobby+Stacy. 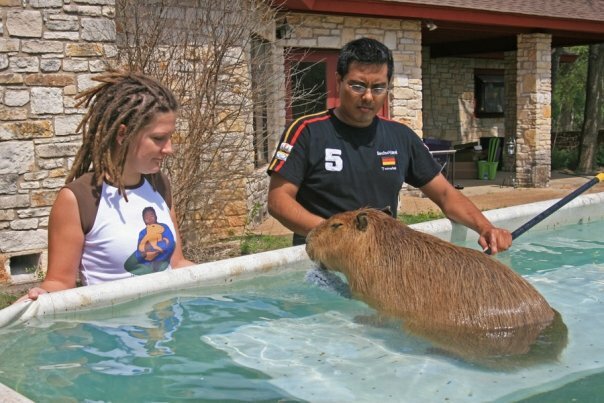 Stacy, I send you love to help heal the capybara shaped hole in your heart.